Peru has been the birthplace of much magic in my life and it’s been my longtime dream to return one day. 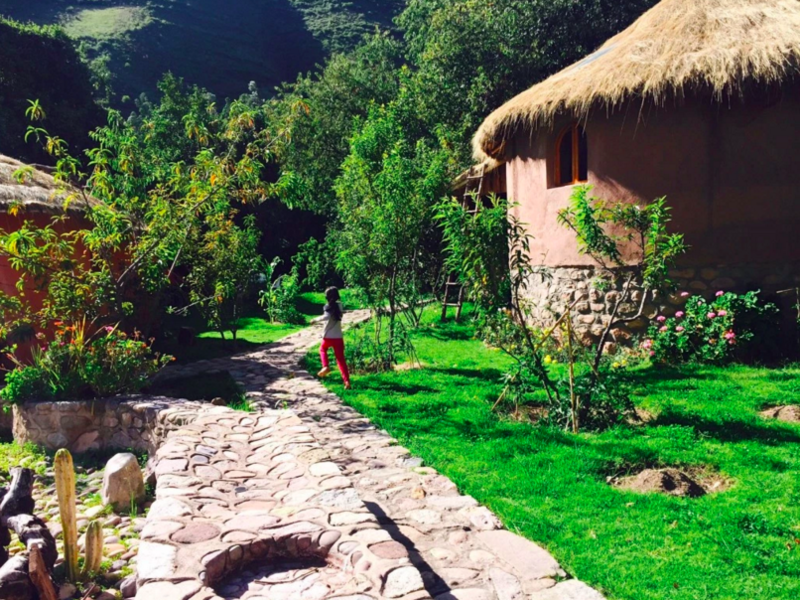 This month I took our daughter with me to the Sacred Valley of the Incas on a Volunteer Vacation to upgrade and renovate the Sacred Valley Bed and Breakfast, which benefits the Ninos Del Sol Home for Children. Peru, with it’s stunningly fertile Andes Mountains, gorgeous textile markets, fantastic ruins, art and music, delicious food, and beautiful people is a truly spiritual journey. Here are my suggestions of how to get there, where to stay and what to see. The United States to Lima, then stay overnight and fly in the morning to Cusco. This time around, I found a GREAT solution that made the overnight stay a breeze: THE WHYNDAM COSTA DEL SOL AIRPORT HOTEL. This is literally across the taxi stand from the airport and perfect for a quick stay. The staff is wonderful, rooms are clean, the bed was comfy and they had pretty yummy 24 hour room service. As far as airport hotels go, this one was amazing. In the morning we rolled our bags across the street and took our quick flight to Cusco. 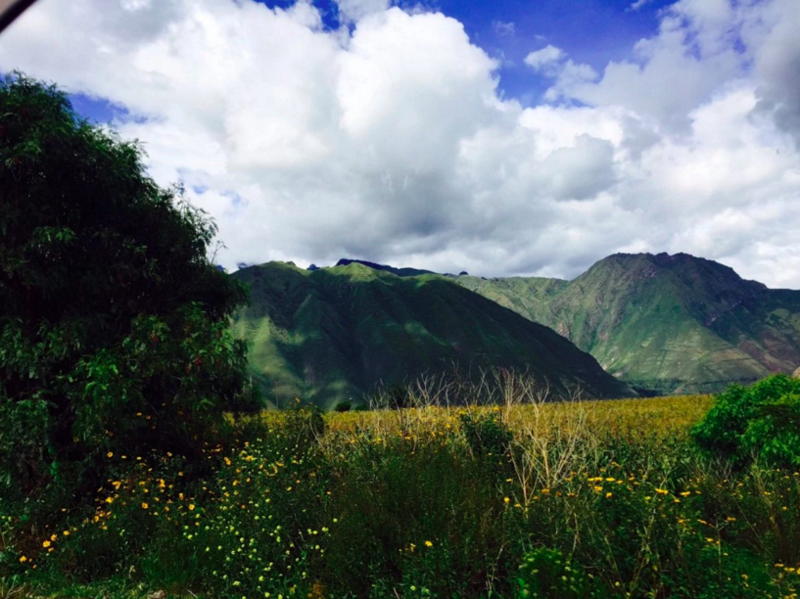 Cusco sits at an elevation of 11,000 feet and requires what is called acclimatization. Your body needs a day or two to begin adjusting to the thin air at this height above sea level. The first time I came to Peru, I got a mild headache, was quite thirsty and experienced some heavy breathing and a racing heart for a few days. This time, however, I experienced extreme altitude sickness for an entire day; throbbing headache, vomiting, and general body weakness (I spent 12 hours sleeping off what felt like the worst hangover of my life). There’s really no predicting if you will get altitude sickness or not so maybe it’s just because I’m nearly 10 years older! In any case, be sure to hydrate yourself at all times, lay off the alcohol and caffeine and be sure to buy plenty of the coca candies that are available everywhere. Coca is stimulating and gives your mouth a slightly numb feel (they are the base of cocaine, after all!) and really, really helps with the acclimatization. Buy them at the Cusco airport so you aren’t needing them in the middle of the first night! Also, drink the coca tea and chew the coca leaves. Buy a stash of them and chew them throughout the trip if needed. Be sure to bring strong headache medicine and something to help with nausea. I used something called Urban Moonshine Bitters from Whole Foods, which seemed to help a lot. NOTE: our six year old daughter was not affected at all by the altitude. For “10 THINGS TO HELP WITH ALTITUDE SICKNESS,” check out THE WHEREVER WRITER. 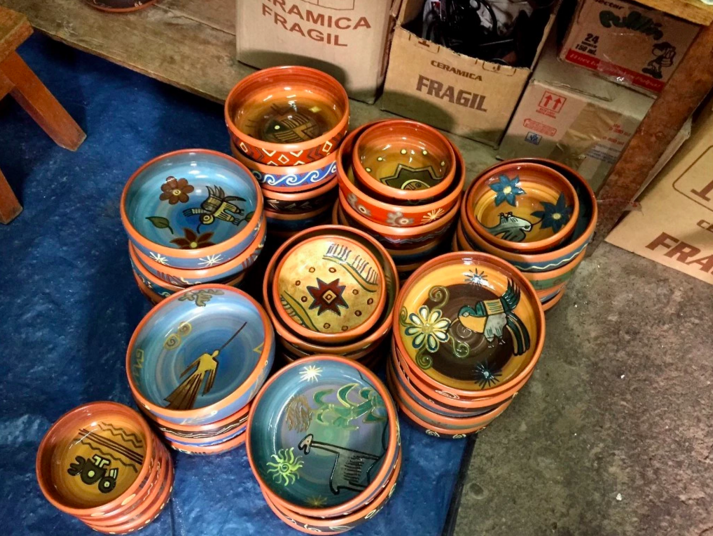 WHAT TO DO IN CUSCO…. Conde Nast Traveller-rated Inkaterra La Casona, a boutique hotel comprised of 11 suites in a stunning 16th-century mansion on a historic plaza. Palacio del Inka hotel, which is also supposed to be incredible. One of my favorites is the Casa Ecologica, where a large portion of the proceeds go directly to the artisans and villages. They have incredible designs, the best materials, and also a very imaginative and cool store. Go there! After a few days in Cusco, CARRY ON TO THE SACRED VALLEY. It’s easy to get a taxi from Cusco (or your hotel can arrange it) and it’s about an hour and a half drive through beautiful landscapes of lush green pastures dotted with delicate yellow and lavender flowers. On the way you will begin to see your first bit of Quechua life with the ladies in incredible hats, full skirts and gorgeous textiles. Postcard-perfect Peru. 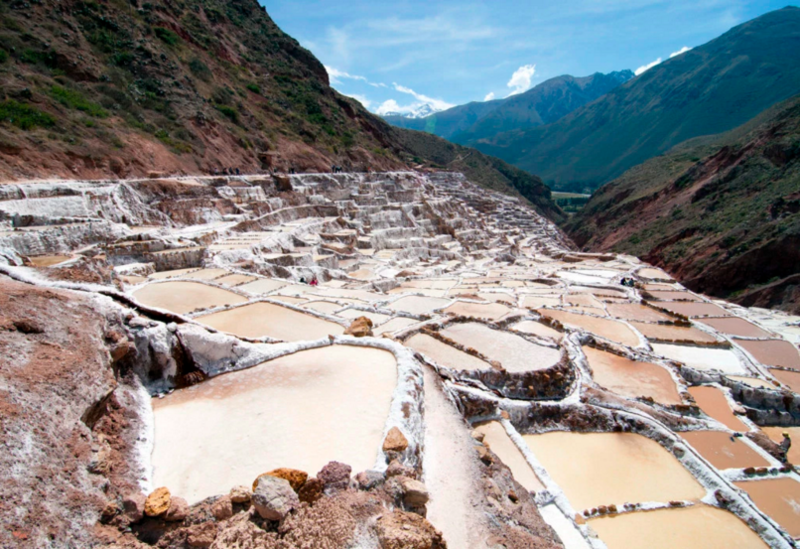 Between Cusco and Urubamba, be sure to stop at the SALINERAS DE MARAS, the famous Salt Mines. This is a sight to behold; a salt water spring flows down through terraces that look like they are covered in snow. Actually, it’s incredible high quality salt that has been mined since Pre-Inca days. The view of the Valley is amazing from the drive up the high road, it’s fascinating to see the way the salt descends through the pools and local salt mine workers mingling with tourists. There is a souvenir shop selling harvested salt and you HAVE to buy salt from here. It’s so rich in minerals and there are all types of flavored salts. This is one of the best souvenirs to bring back for your foodie friends. This is a 2 hour stop at the most. 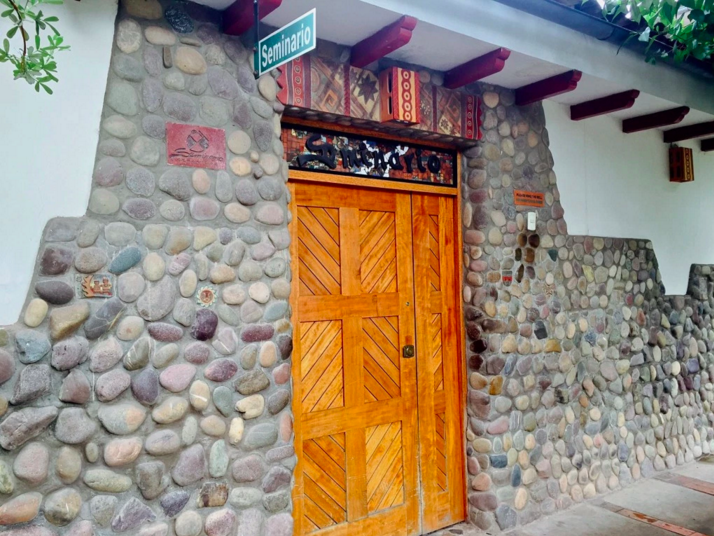 Carry on to Urubamba, where you can stay at the SACRED VALLEY BED & BREAKFAST that I am right now in the process of renovating. The B&B is situated on a property at the base of the mountains and is comprised of 7 round huts with thatched roofs and attached private bathrooms. 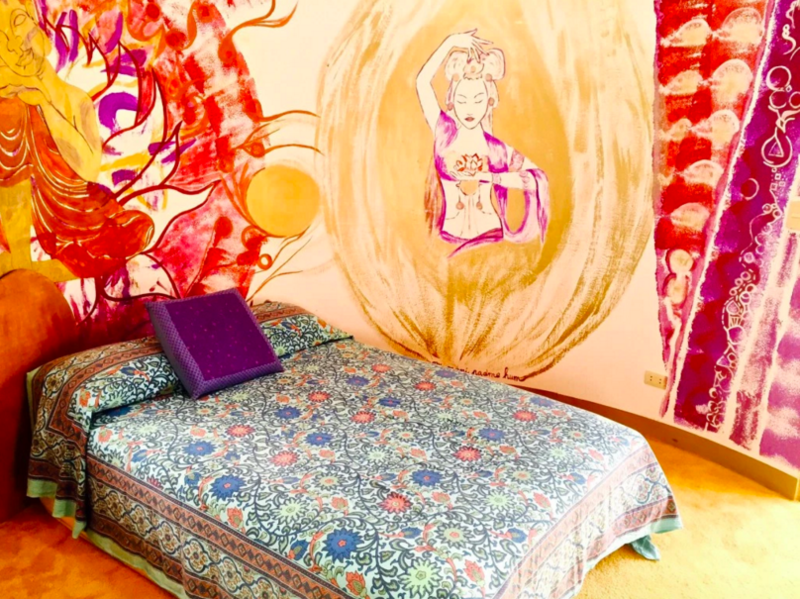 Each room is painted in a different motif, the colors representing the 7 Chakras and decorated in simple, comfortable, and beautiful native textiles. The property also has a beautiful yoga hut where the proprietress Viviana conducts kundalini yoga classes. My favorite aspect of the B&B is the small all-white meditation room, which is embedded with hundreds of clear crystals in the walls. It’s truly magical. There are lots of places to stay in Urubamba and some are more luxurious than this place. 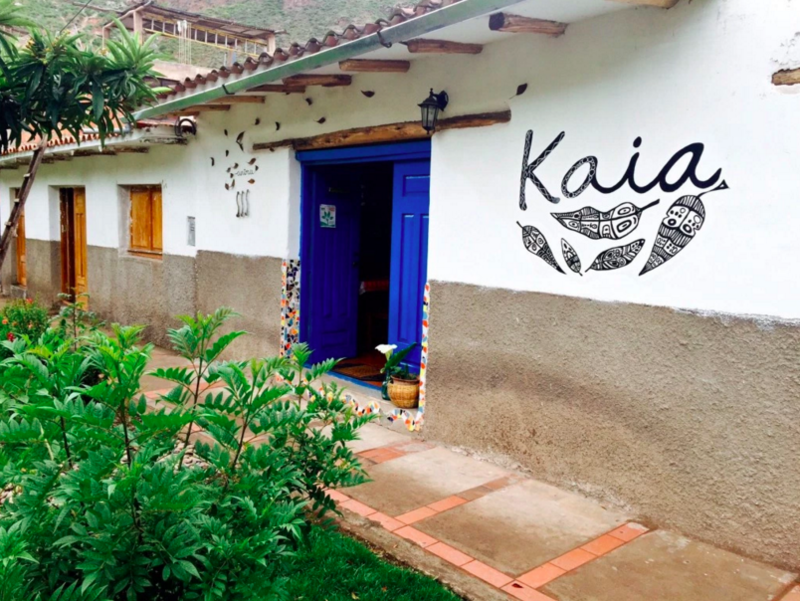 But the unique thing about this charming little family-run B&B is the fact that the funds generated by the B&B go to support the children of the adjacent Ninos del Sol Home, which was created in 1995 as a refuge of love and care for abandoned and abused children of the Sacred Valley. These children have long been a cause close to my heart and I met them all when I came to Peru long ago. So it was a call of service to help them renovate the B&B and a huge gift that I was able to spend time with the children all these years later. Jade and I ate all our meals with them, played with them in their amazing treehouse, washed dishes with them, and were welcomed with open arms. When we left, they sang us a beautiful song of thanks, which we will never forget. 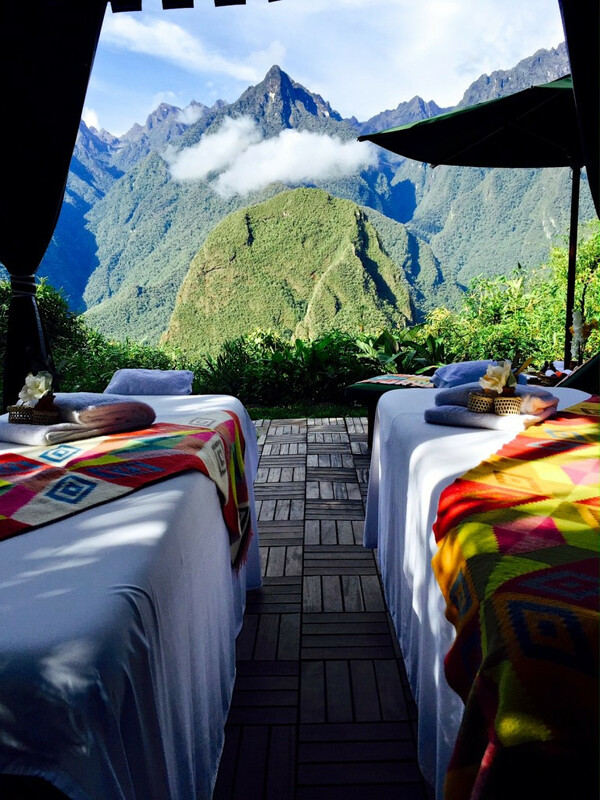 This is something that no other place in the Sacred Valley can offer, and it’s a wonderful way to experience the truly spiritual aspect of this incredible spot on the planet. 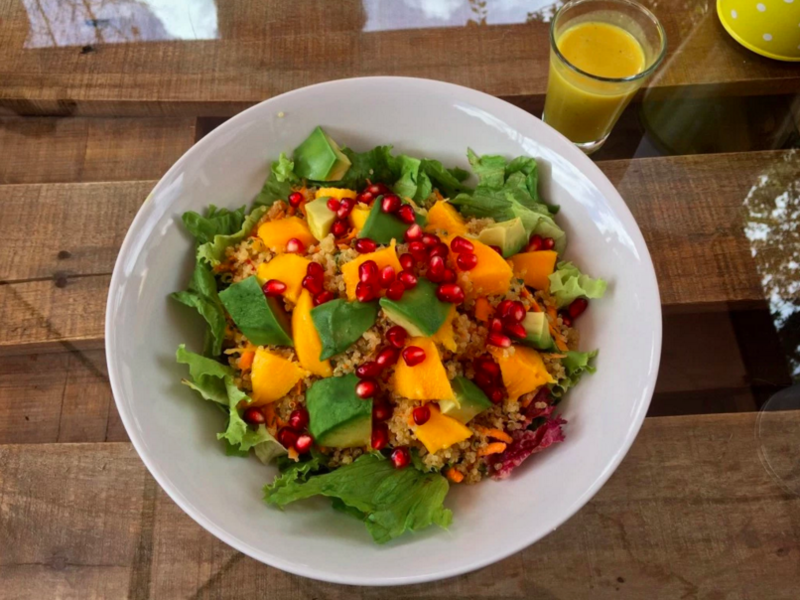 My favorite place to eat in Urubamba is KAIA CAFE, which has beautiful fresh organic salads, juices, coffee and desserts. They play reggae and sell unique handmade items like felted purses and organic ground coca. This place is also super kid-friendly; they host local musicians and storytellers and they have a lovely treehouse and toys for kids in the outdoor patio. Directly across the street is the gorgeous world renowned ceramic emporium, SEMINARIO. Housed in a colonial-vibe complex of buildings with a beautifully tiled courtyard and exotic birds, Seminario is the Hermes of ceramics. It’s luxury art, very unique handmade items like ceramic plates, lamps, plaques, bowls and jewelry, often adorned with silver, that seem to be made by ancient aliens. Ring the doorbell and you will be let in to experience something phenomenal. 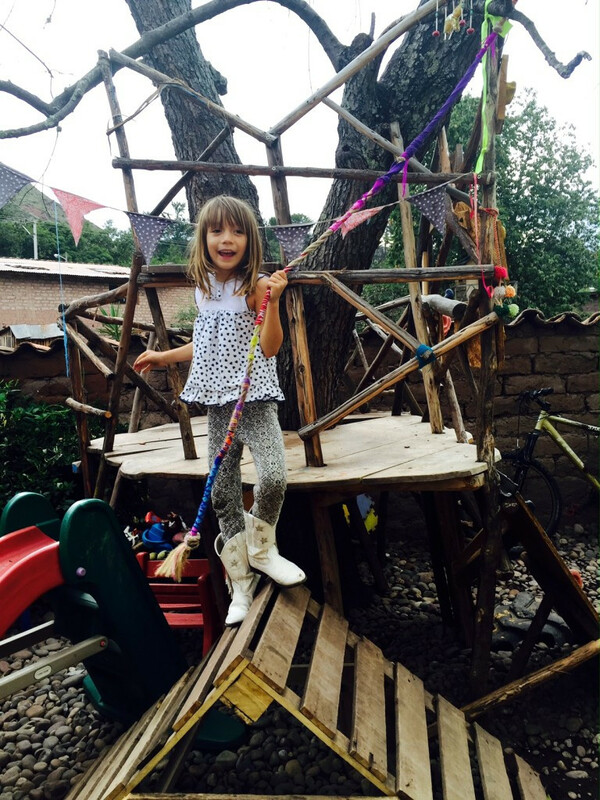 For other things to do in Urubamba, ask Viviana and Avishai at the B&B. They know of excellent hikes, horseback tours, restaurants, local markets, everything. 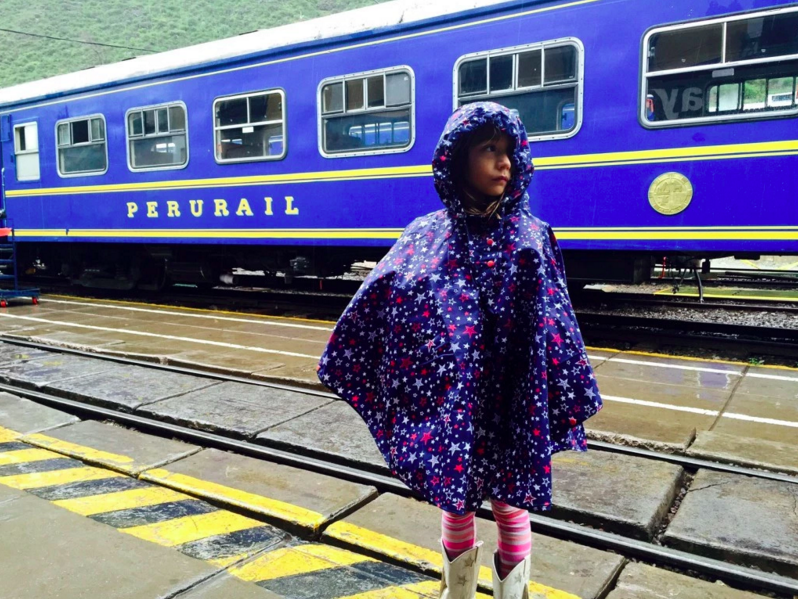 FROM URUBAMBA TO MACHU PICCHU…. If you are going to spend only one day at Machu Picchu, I suggest leaving on the train from Ollyantaytambo around 9am, arriving at Aguas Calientes around 10:30. Once there, buy your bus ticket up to the top of Machu Picchu if you plan to ride rather than walk up. It’s a 20 minute bus ride up a winding steep road and buses leave every 10-15 minutes. Just ask anyone where the bus station is, there’s only one and it’s about a 5 minute walk from the train station depot. With this schedule, you will be up at Machu Picchu by noon. 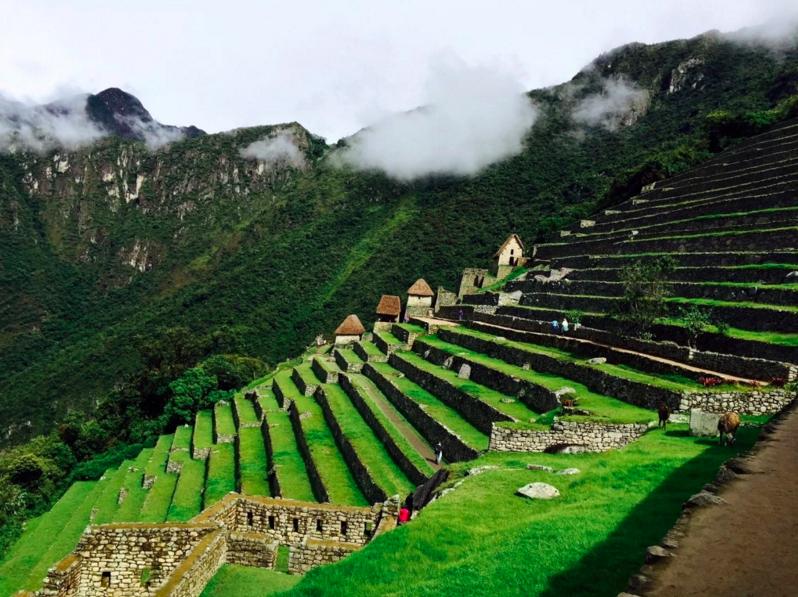 If you plan to walk up from the base to the top of Machu Picchu and see the site at sunrise, then you can be more leisurely about your train departure time and mill about Aguas Calientes for the day, rest up that night, and get up at the crack of dawn the next day to start your journey. 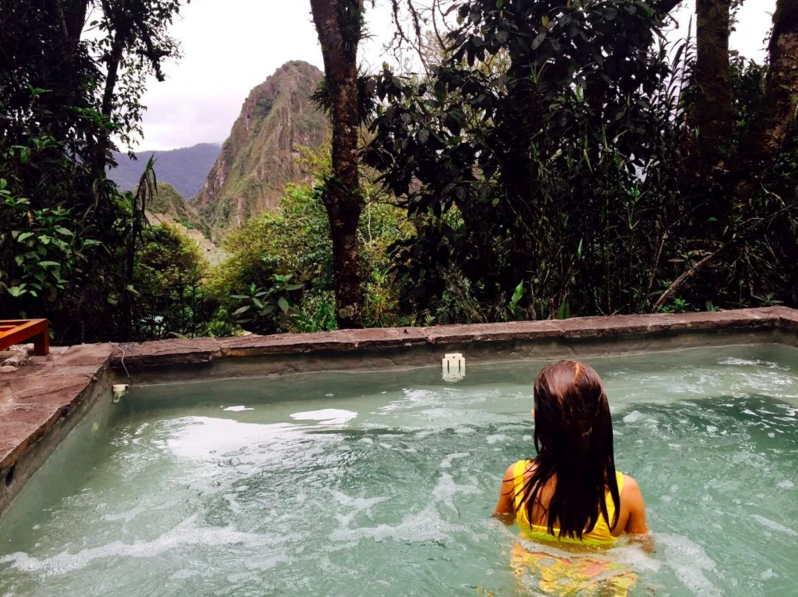 Hotel suggestions for Aguas Calientes are here. I HEAR INKATERRA IS GREAT! We splurged and stayed at the once-in-a-lifetime Machu Picchu Sanctuary Lodge at the top of Machu Picchu right next to the entrance of the ruins. The hotel, staff and convenience were amazing. The first time we went to Machu Picchu 9 years ago, we stayed in Aguas Calientes, the town at the base of the historical site. It’s a cute little town with a nice souvenir market and some restaurants but the real reasons to stay there instead of at the Sanctuary Lodge (the only hotel at the top) are: if you want to save money (there are many levels of hotel options in Aguas Calientes) OR if you plan to be a real badass and WALK UP THE STAIRS TO MACHU PICCHU in the wee hours of the morning to summit as the sun rises. The first time I came here, we walked up. If you can muster the willpower, I highly recommend it. It still tops my list of most incredible experiences of all time. With 1,772 steps from the bottom to the top, it’s something you should train for at the gym before going (hello, Stairmaster!) Once at the top, prepare to feel exhilarated and made of steel. Pushing myself mentally to carry through to the end (there’s really no choice once you start!) is something that still gives me strength to this day when the going gets tough. The reward of seeing the sun rise over Machu Picchu as my first glimpse of this astounding site is something that can’t be surpassed. At the entrance to the site, right after you go through the ticket turnstile, GET YOUR PASSPORT STAMP with the historical Machu Picchu symbol. It’s not mandatory but a really cool thing to have in your passport forever. It’s a very low-key little area to the left just past the ticket entrance. In high season, there may be a line but it’s worth the wait!!!! Once you have arrived inside of Machu Picchu, take your time and wander around. Bring some snacks in your backpack and sit down, take in the vistas and give yourself the gift of silence. It is mind-boggling. Of course, the ruins themselves are incredible but what amazes me each time is the sheer magnitude — and treacherousness — of the surrounding Andes; mist and cloud covered mountains that almost don’t look real…. Also, I’m not a big fan of tour guides but this is a place that warrants one. 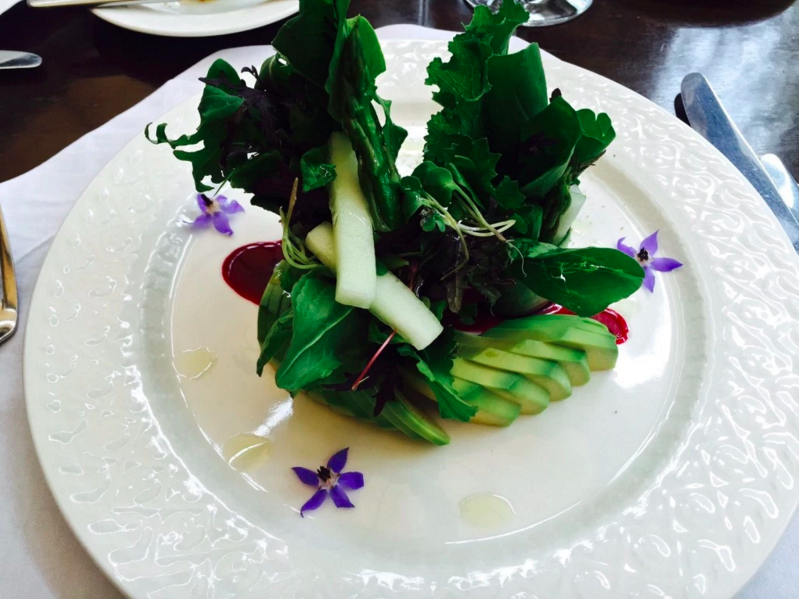 There is so much to learn about the place and it imbues the experience with more significance. There’s a lot to see and it’s nice to have something decode it all for you. Beyond the ruins of Machu Picchu you will see a huge, super steep mountain. That’s Huayna Picchu, which is possible to visit as part of your experience. They only allow the first 400 people up there, so buy your ticket and go early if you intend to hike it. I’ve done it and can safely say it’s ONLY for people who are not afraid of heights and are in very good shape. It’s incredible but seriously the scariest and most treacherous damn thing I’ve ever done. And that’s saying A LOT! 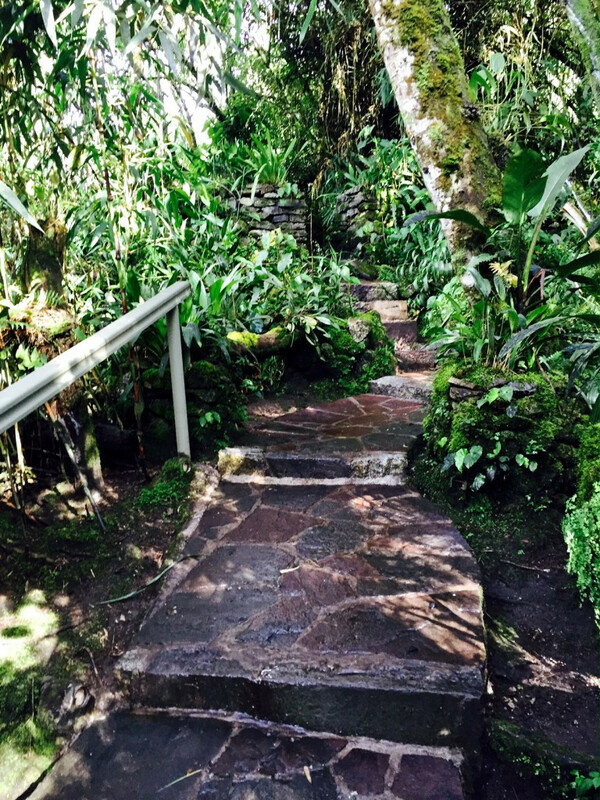 Since this time I was with our six year old daughter, we stayed at the Sanctuary Lodge at Machu Picchu for the sake of ease. I’m so glad we did! It was a real treat to be able to spend the day hiking around the ruins and then just breeze over to our hotel, have INCREDIBLE food and — the best part — walk through their orchid garden and soak in the natural hot tubs available only to hotel guests with a view of the ruins. Since we were right there, we easily went back to the ruins the next day to take in more of the sights and then came back to use the hot tubs again before departing on our bus, train, and taxi rides back to Urubamba. It was an action packed 2 days but made very painless because of the special touches by the hotel staff, such as handling our bags for us at the bus station, helping us purchase entry tickets to Machu Picchu our second day, and arranging our departing bus tickets. The Sanctuary Lodge is easily the most expensive option for accommodations but I would do it again in a heartbeat. Also, with other lodging on the trip being extremely inexpensive (such as the B&B at less than $100/night), it balances itself out as an entire vacation.